This photo was taken with a point-and-shoot digital camera in the main square. 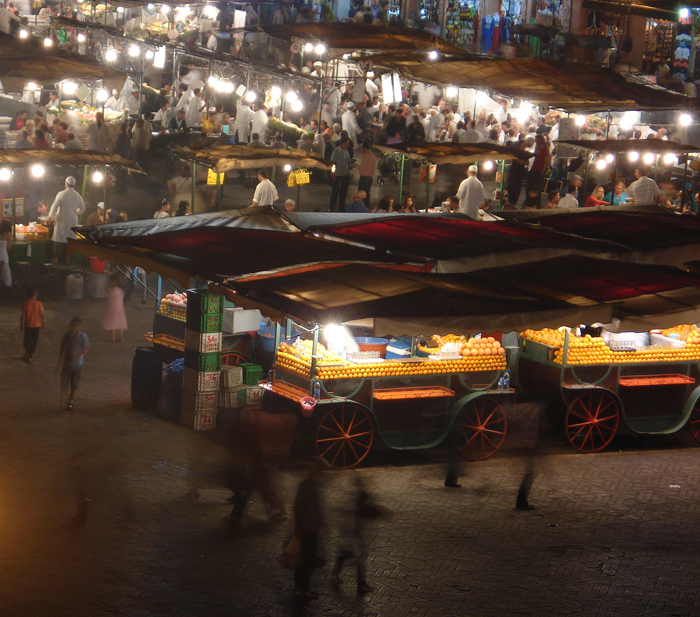 Every night it’s a hustle and bustle of food stalls, and tourists and people hustling them. The food’s pretty good, as is the atmosphere. Really liked how the camera focused on the stalls full of people eating – where the predominant colour is white, but blurred the motion of the silhouetted passers-by in front of the brightly coloured fruit stalls.